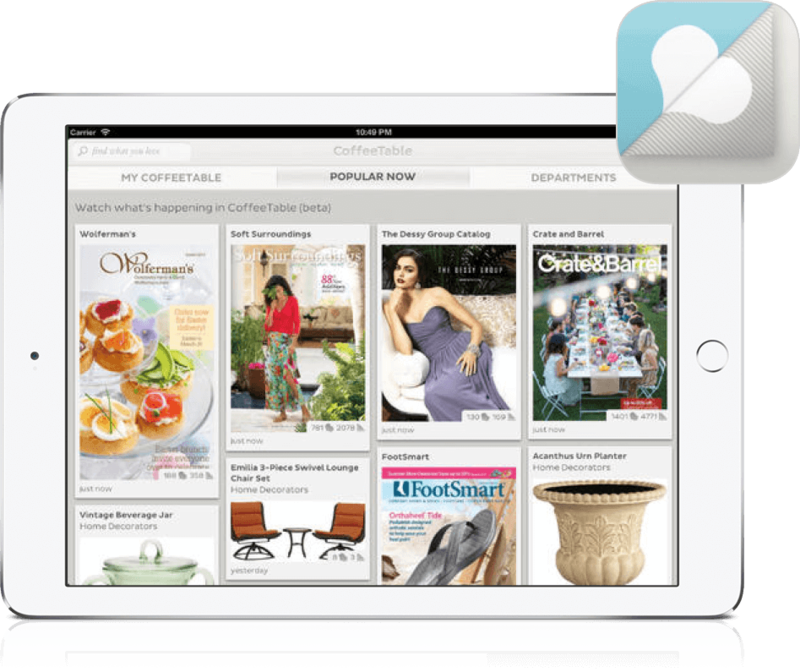 Top 20 retail iPad apps for retailers looking to run their stores on-the-go. These 20+ apps will help you streamline operations, improve productivity, and delight customers. Check them out! 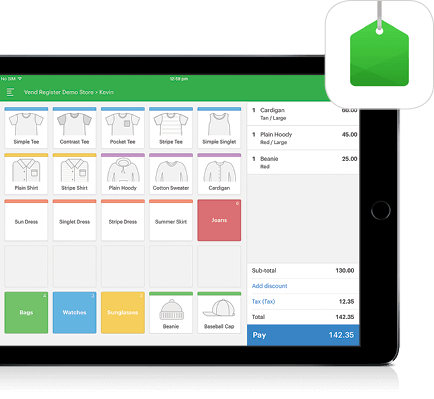 Used by thousands of retailers worldwide, Vend turns your iPad into a point of sale system and allows you to conduct business from just about anywhere. It works with different receipt printers, cash drawers, and barcode scanners, so you don’t have to purchase extra equipment for it to work. Just download the app, set up your store, and start processing transactions. Vend is much more than a POS, though. 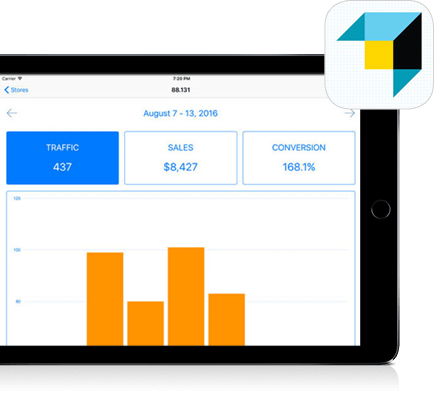 The app comes with additional features such as inventory management, reporting and analytics, customer loyalty tools, and sales insights, allowing you to improve your business and serve your customers better. Vend’s simple and intuitive interface makes it a joy to use. The app’s ability to work offline is also a big boon for retailers because it enables them to conduct business even when they’re not connected to the web. Additionally, the software integrates with other programs such as Xero, Shopify, Timely, and Stitchlabs — allowing users to do more with it. 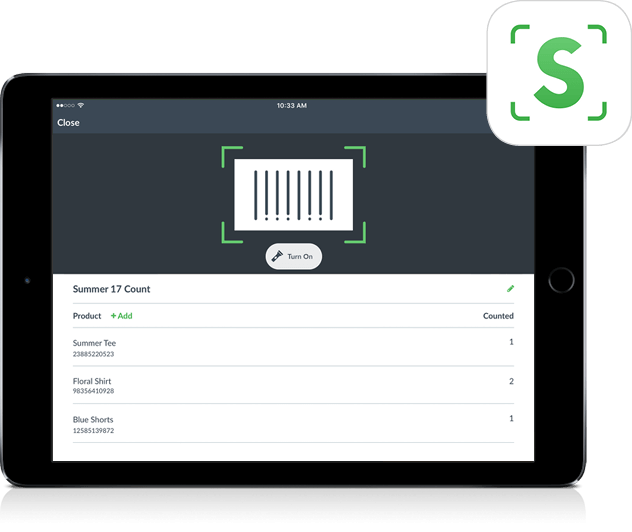 Developed by the team at Vend, Scanner allows you to perform inventory counts, stock takes, and partial counts straight from your iPhone, iPad, or iPod Touch. You can scan all common barcodes straight to a spreadsheet. 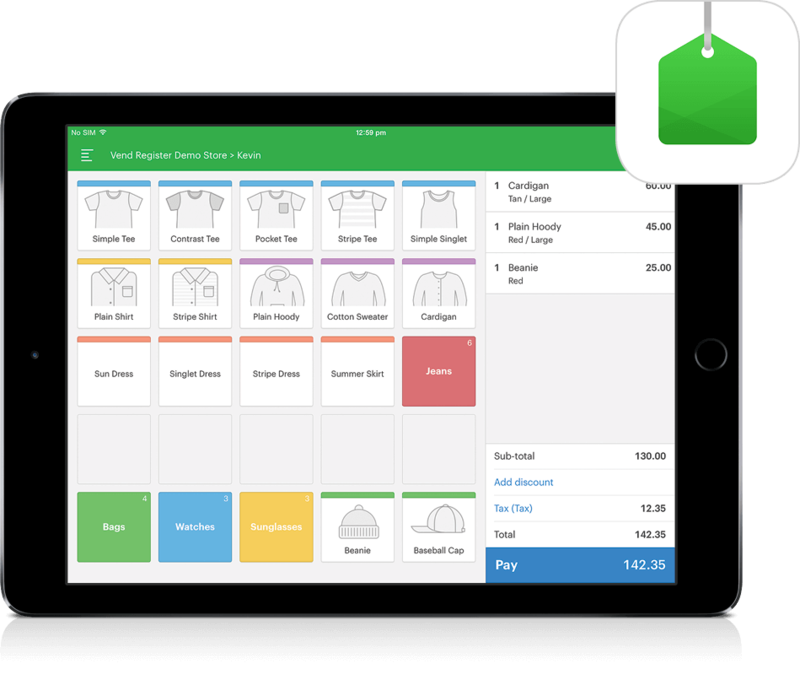 Plus, if you’re a Vend retailer, you can seamlessly sync counts, product details and inventory levels between your app and Vend. 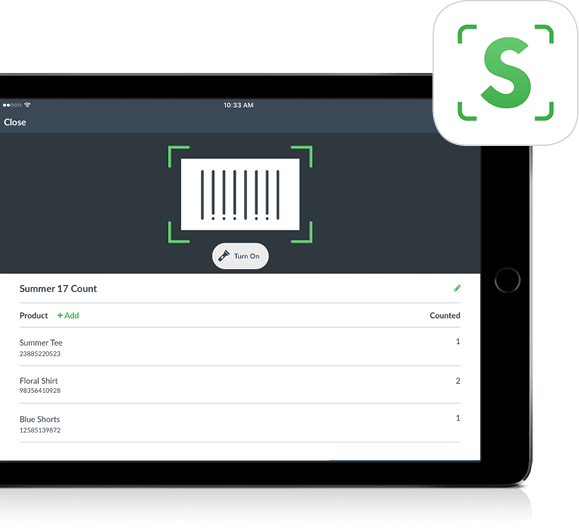 Scanner eliminates pen and paper by turning your iOS device into a powerful mobile barcode scanner, allowing you to scan the most common barcodes and datamatrix codes. Once you’ve finished, Scanner provides you with information you can use in the form of a CSV file that’s compatible with many business tools, allowing you to import your counts into databases, spreadsheet software, and other applications. For Vend retailers, you don’t even need to import your counts using a spreadsheet - completed counts are automatically shared with Vend for review. Need to stay on top of your company’s finances even when you’re on the go? Xero’s got your back. 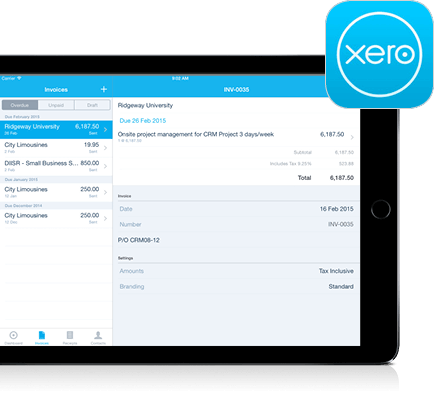 Aside from allowing you to create, approve, and send invoices using your mobile device, Xero lets you upload receipts and track expenses, so you always know how much money is coming in and going out of your business at any given time. 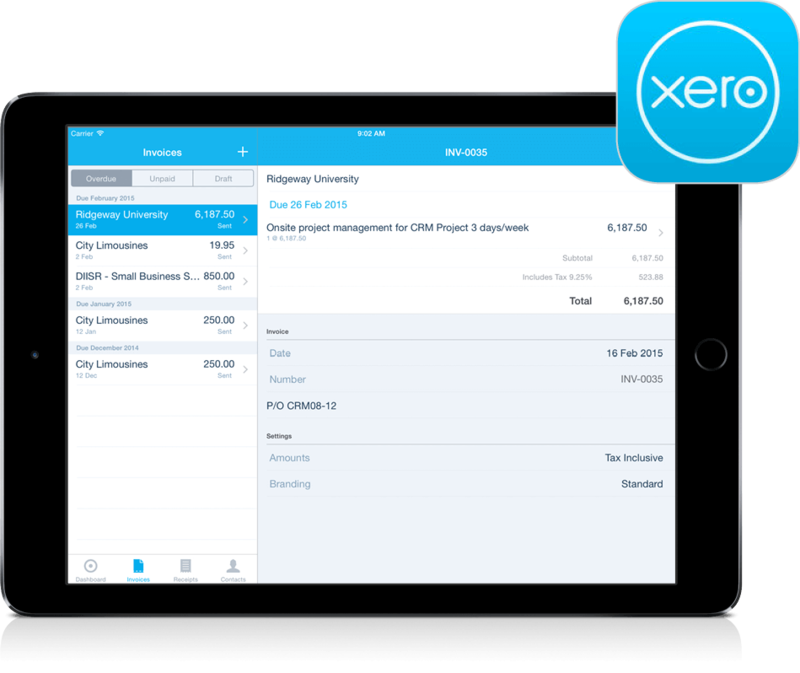 Xero also has a bank reconciliation feature that automatically imports your bank, credit card, and PayPal transactions, so you can keep track of all your financials from one dashboard. No business owner wakes up every day looking forward to reconciling accounts and tracking expenses. But thanks to Xero’s automation features, these tasks become much easier. The app’s bank reconciliation tool can automatically import and categorize your transactions, so you can spend less time crunching the numbers and devote more energy to selling products and serving customers. 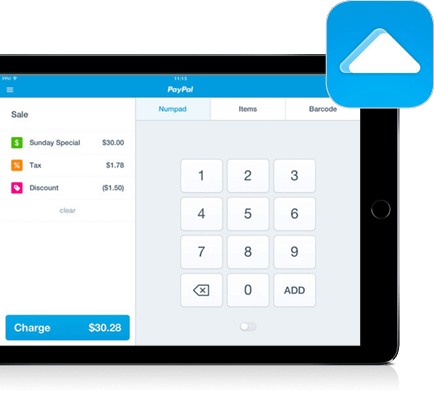 The PayPal Here app lets you accept cash, credit cards, and PayPal payments using your mobile device and the PayPal dongle. It also gives you the ability to send receipts via text or email and lets you view and manage your sales history right from the app. Retailers dig PayPal Here because it allows them to accept various payment forms from anywhere and enables them to serve their customers better. Since the app lets people check in to a store with their PayPal accounts, merchants can access more details about each shopper (such as purchase history and profile), thus enabling them to personalize interactions, recommend products, and process payments more quickly. Say goodbye to messy time sheets and confusing charts. 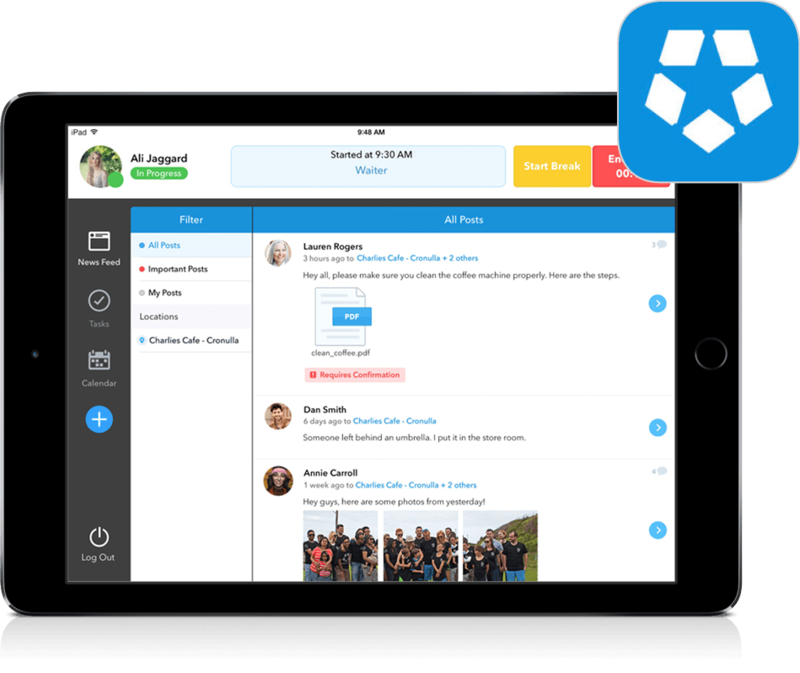 With Deputy, you can create, update, cancel, and set shifts using just your mobile device. Messages are sent via text, email, or the web, so employees can get scheduling updates and notifications wherever they are. Deputy saves retailers time and money. With its easy-to-use interface and mobile capabilities, you can spend less time worrying about schedules and focus instead on growing your business and delighting your customers. Deputy also makes it easy for staff members to pick up shifts, switch schedules, and request time off — and that can result in happier, more productive employees. RetailNext is an in-store analytics solution that collects and analyzes massive amounts of retail data, giving you actionable insights about who your customers are and what you can do to engage and convert them. RetailNext taps into a variety of data sources including video cameras, WiFi, POS systems, staffing systems, promotional calendars, payment cards, weather, and more. One of the best things about RetailNext? It organizes and presents this enormous amount of data in easy-to-understand graphs and reports, so you won’t have any trouble understanding the information. RetailNext enables you to know more, so you can do more. It can provide you with invaluable insights into your shoppers and your store, allowing you to drive more traffic, increase loyalty, and improve staff performance. What’s not to love? Invoice2go has been the leading mobile invoicing app for the past two years, and for good reason: it gives businesses a fast, easy way to create invoices, estimates, credit memos, purchase orders, and more. Documents can be customized to fit your needs, and you can send them to customers and suppliers instantly from the app. Invoice2go also comes with over 10 reports and charts, allowing you to easily make sense of your business’s finances. 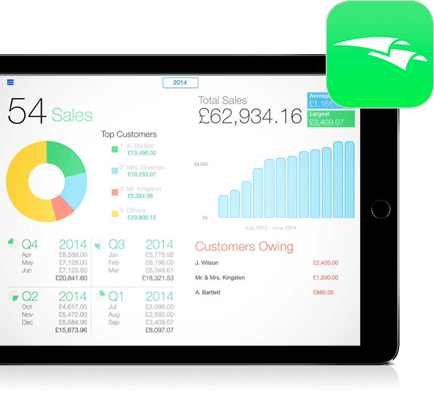 Invoice2go can actually make invoicing fun! It comes with built-in styles, so you can easily tailor your documents to the look and feel of your company. 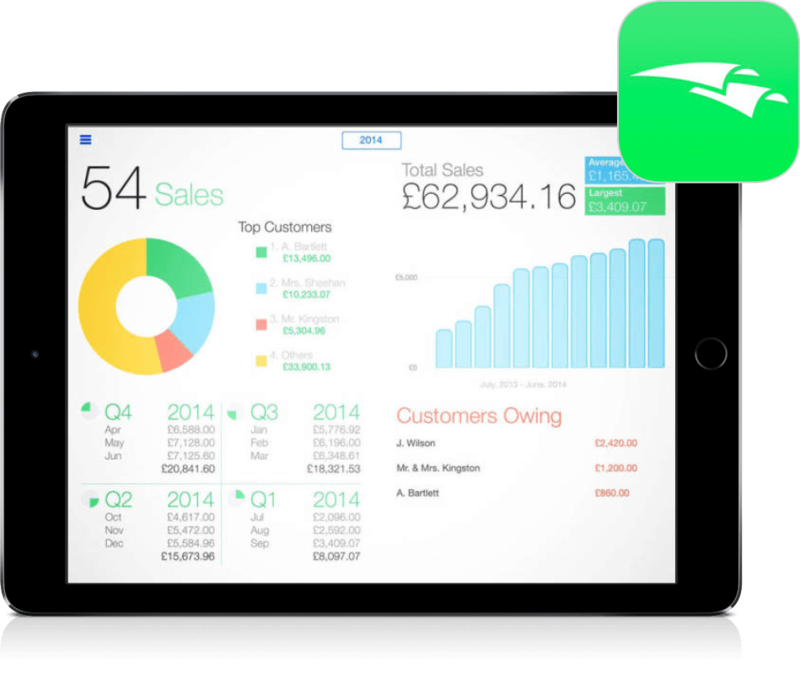 It also calculates totals and taxes automatically, enabling you to generate invoices much more quickly. Finally, Invoice2go makes sending bills a breeze. 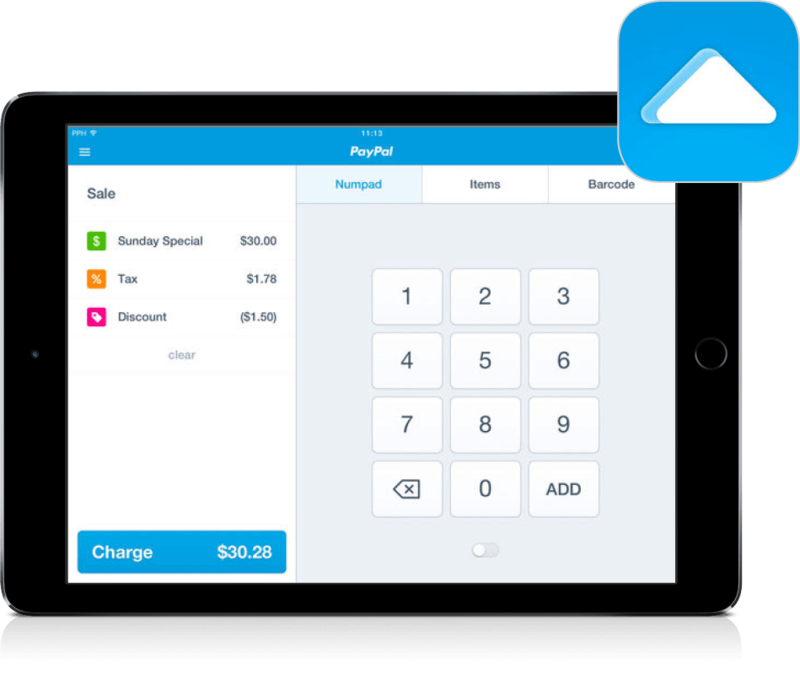 It links directly to your iPad contacts and allows you to add PayPal buttons to your invoices, so customers can pay with just a few clicks. Need to print a hard copy? The app lets you print documents straight from your iPad to your airprinter. Need to schedule appointments or events? Want to keep track of important dates such as customer or staff birthdays? 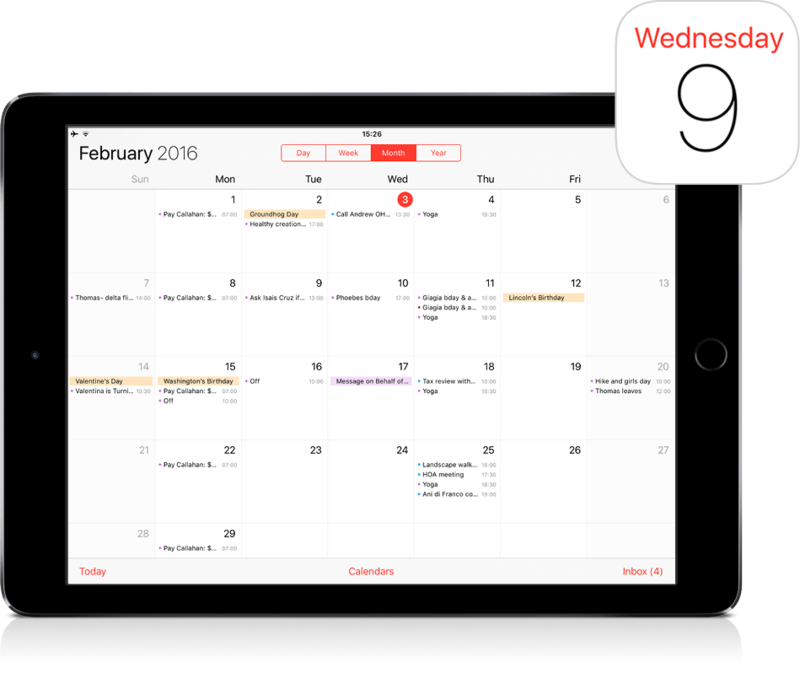 The native Calendar app on your iPad can do all that and more. It even integrates with Facebook, so you can check out what your friends are up to. 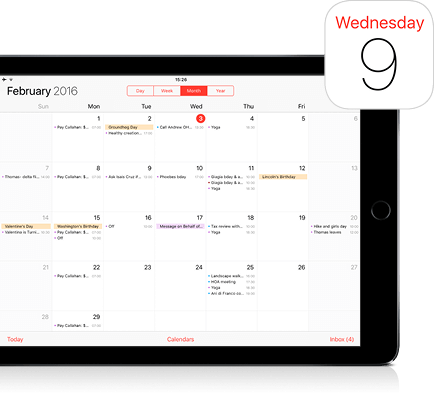 The iPad’s Calendar app gives you a quick, no-frills ways to manage your schedule. With just a few taps or swipes, you can view events by day, week, month, or year — and if you want a wider view of your schedule, you can switch to landscape mode. The app’s ease-of-use and intuitiveness save you time and effort, so you can devote more energy to your biz. 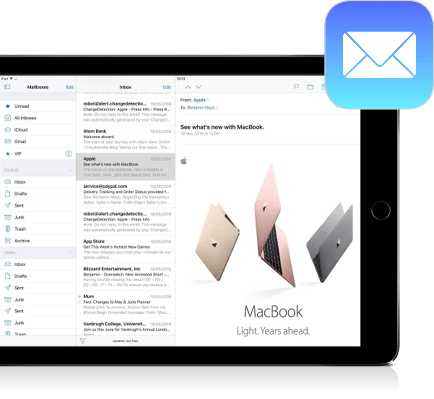 Mail lets you manage all your email accounts from one convenient app, which makes sending, receiving, and replying across mailboxes fast and seamless. Its interface also makes it easy to see and track messages by thread — and if you want to change your view, you can just switch from portrait to landscape mode. 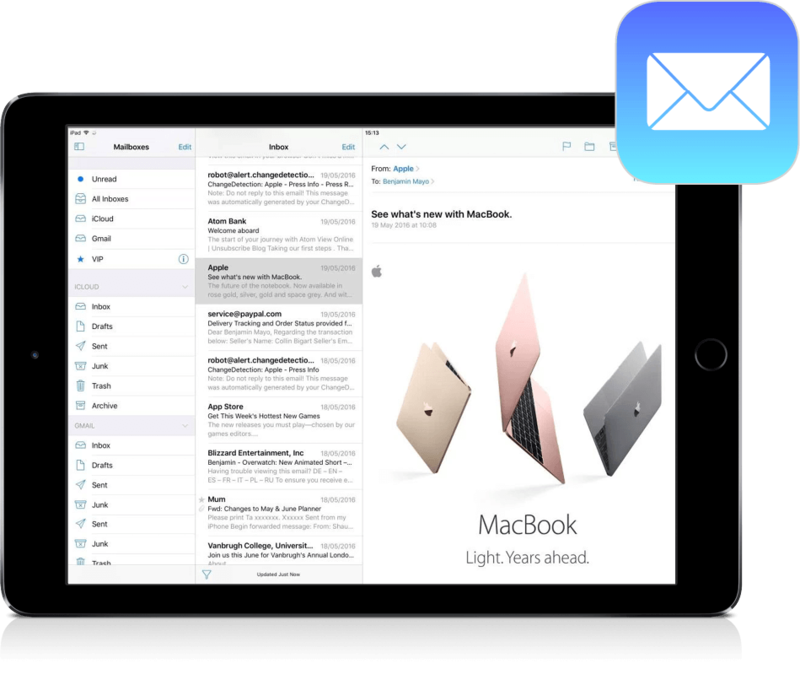 With the Mail app, reading and responding to messages from customers, vendors, and fans can be quick and efficient. Plus, with the iPad’s Retina display, messages and attachments always look clear and sharp. The Reminders app enables you to create location- or time-based alerts for things you need to do. You can also set recurring reminders for tasks that need to be completed on a regular basis. 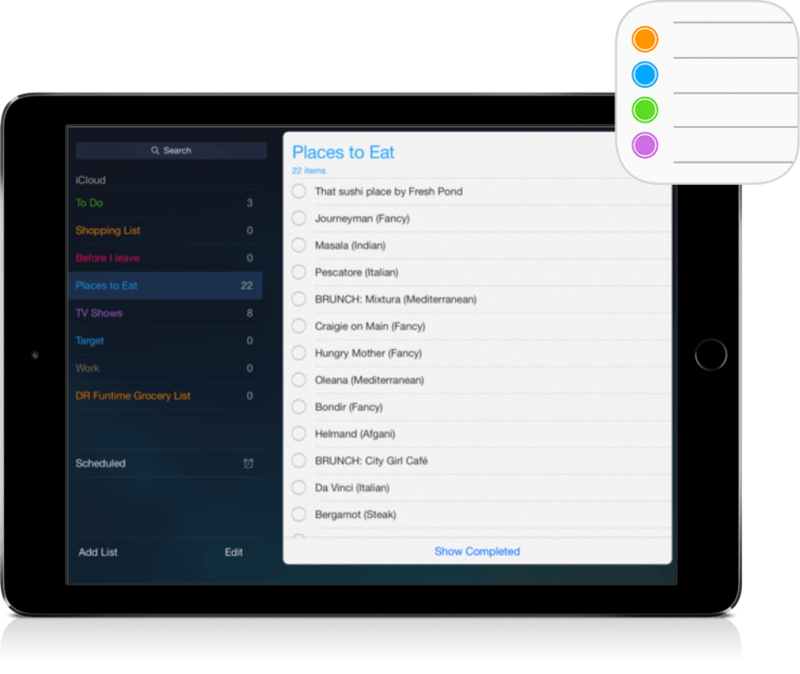 Moreover, the app syncs on all your iDevices — so even if you create a reminder using your iPad, you can still receive alerts on your iPhone. Keeping track of memos and reminders while managing a busy retail store can be a challenge. The Reminders app helps you stay on top of things and prevents you from missing important tasks, memos, or alerts, even on a busy day. SignUpAnywhere is an HTML5 app that lets you collect email addresses from your iPad. Just sign up for an account, run the app in your browser, and start growing your email list. Downloading email address can be done in seconds, and the app syncs with other email marketing programs like MailChimp and CampaignMonitor. SignUpAnywhere is perfect for collecting emails and generating leads while customers are inside your store or during trade shows, fairs, and other events. 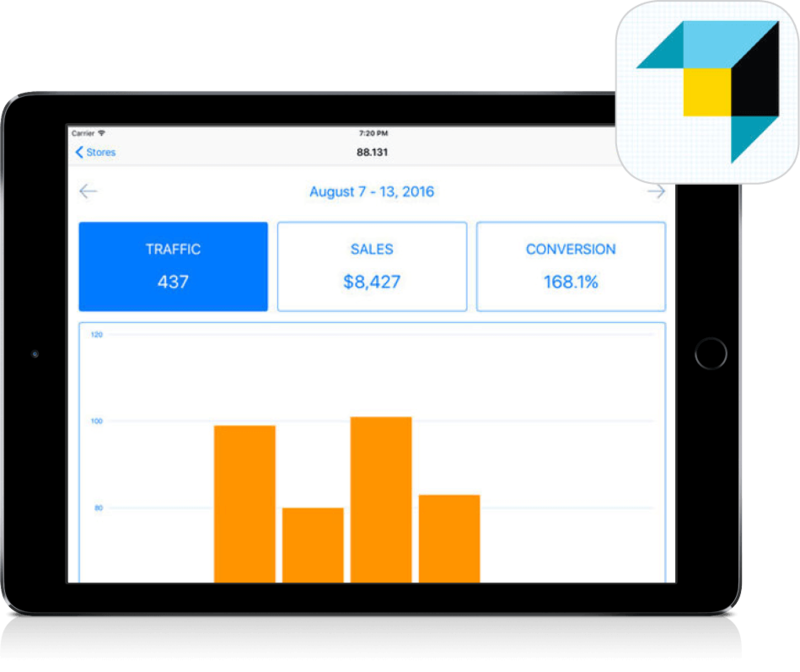 Say sayonara to the clunky old clipboard, and impress customers with this sleek app. It even works without WiFi, so you can carry on with your lead-gen efforts no matter where you are. And since email addresses can be downloaded into a CSV file or synced directly with your email marketing software, the app saves you time and reduces errors in data entry. 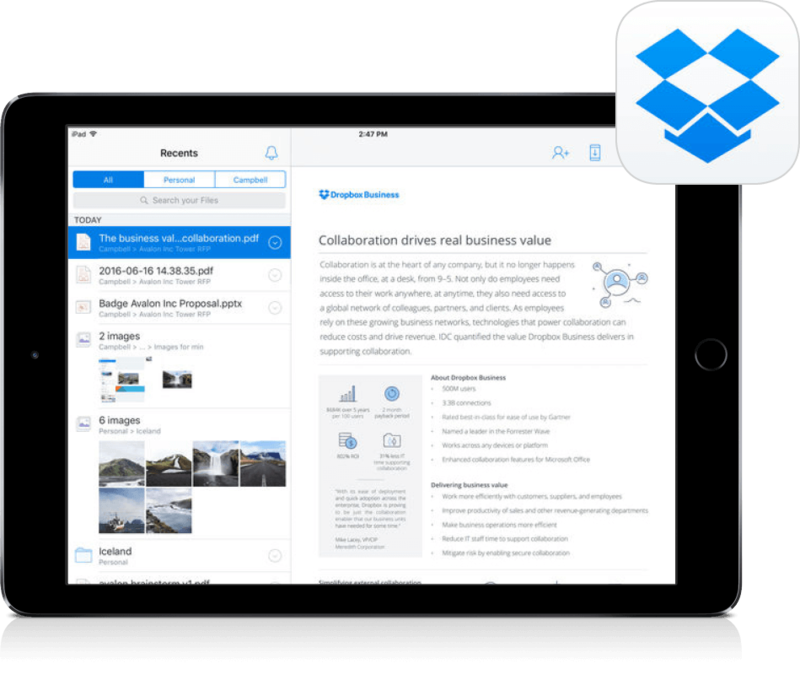 With Dropbox, you can take all your photos and documents with you, no matter where you are. 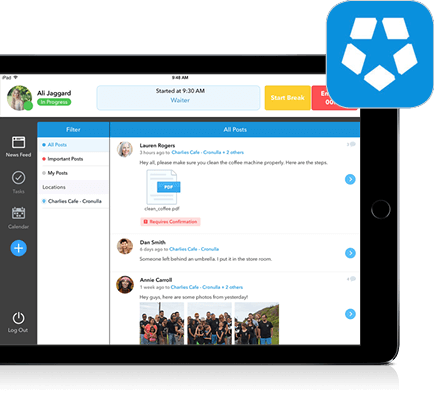 This app lets you manage your files right from your iPad, so you can upload, access, and share them even when you’re on the go. Need to share important files with your staff, vendors, or customers? Dropbox means you don’t need to be sitting in front of a computer to do it. 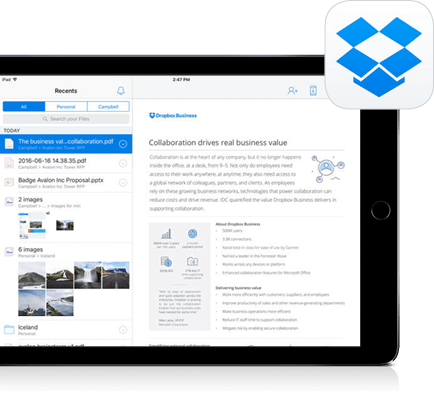 Plus: with Dropbox’s massive storage features, you don’t have to worry about not being able to share large files. The PollDaddy iPad app lets you conduct surveys right from your mobile device. It works without an Internet connection, so you can take your polls to the streets (or your tradeshow booth) and collect responses with ease. Survey feedback — whether it’s from customers, employees, or the general public — can be invaluable to your business. PollDaddy lets you collect and organize survey responses, so you can quickly act on them and improve your store. Are you using MailChimp to collect email addresses and send out newsletters? 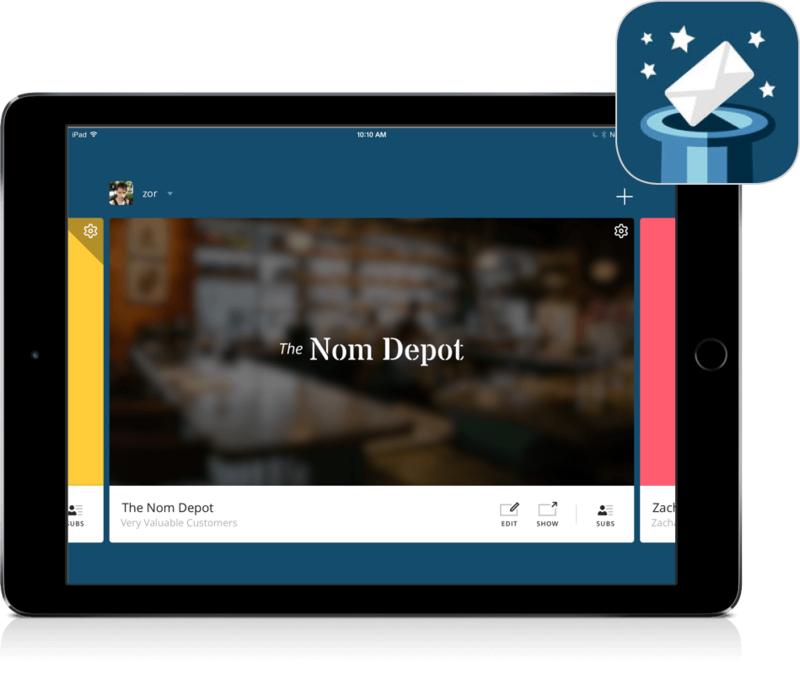 Then this app is the perfect complement to your email marketing efforts. It lets you collect email addresses from your iPad, and import them into MailChimp. MailChimp Subscribe works offline, so collecting emails inside your store or during conferences and events can be done without a hitch. Moreover, the app allows you to show your company’s personality through your forms by letting you customize the background, fonts, and buttons. 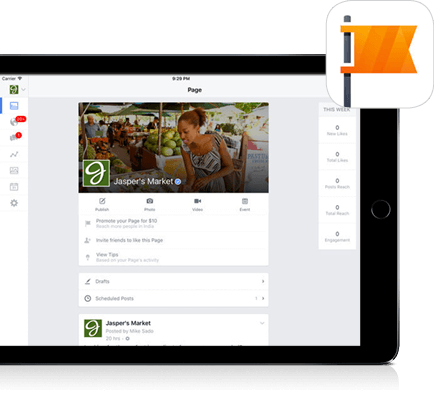 The Facebook Pages Manager for iPad gives you all the tools you need to keep in touch with your fans, no matter where you are. Post updates, respond to comments, reply to private messages, and view Page insights. You don’t have to be at your computer to see what’s going on with your store’s Facebook Page. 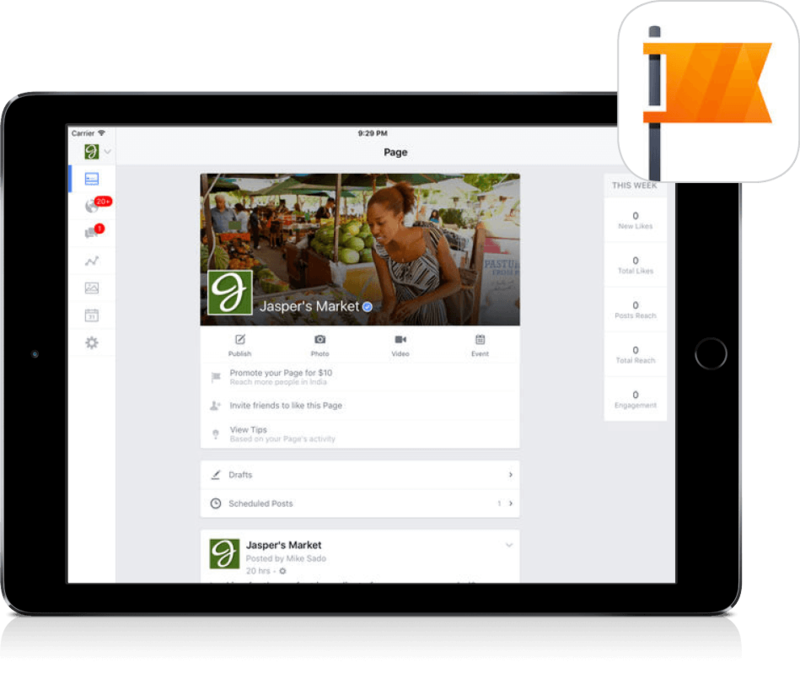 With this app, you can attend to your Facebook fans and post updates even when you’re in your store, on the way to a meeting, or sitting on your couch. 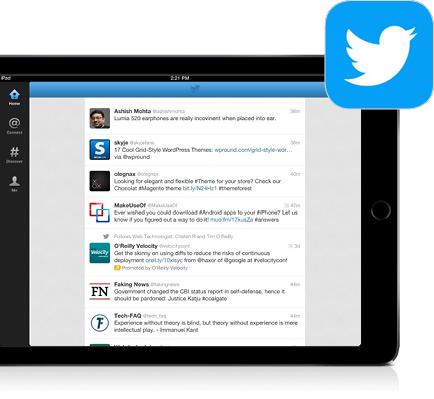 Post tweets, view replies, and manage your private messages from anywhere with Twitter’s free app. 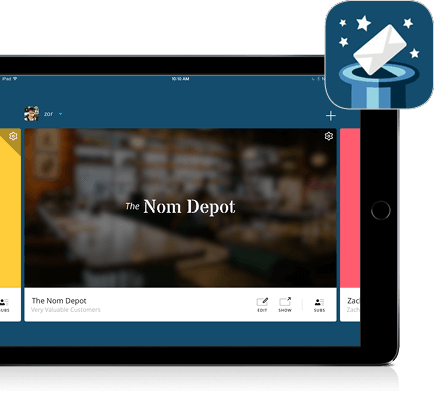 Sharing is even easier thanks to its integration with iOS. You don’t have to open Twitter to send links or photos; instead, you can use the share icons in your native apps, and tweet away. 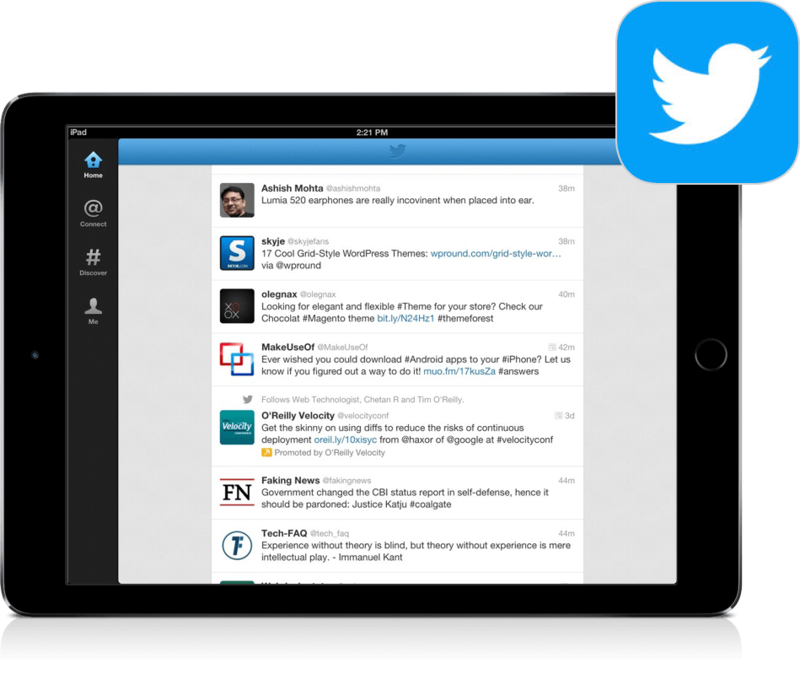 Thanks to the Twitter app, you can keep track of what’s being said about your brand, no matter where you are. It also allows you to impress customers by giving you the means to quickly respond to comments or concerns. Spotify puts million of tracks at your fingertips. Play what you want, when you want, and create playlists of your favorites. Spotify also makes discovering new music a breeze, thanks personalized recommendations based on your listening habits. Are you a Vend user? 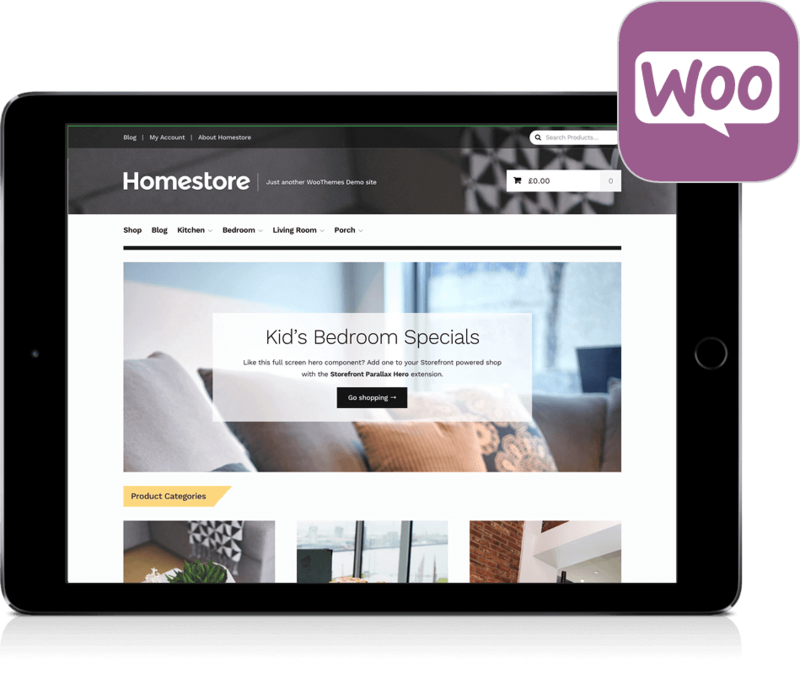 Check out the Vend + WooCommerce integration which enables you to seamlessly sell in-store, online, and on social media. 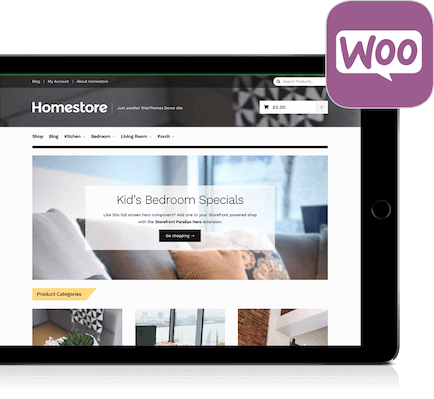 Centrally manage your day-to-day business in Vend and sell more online with the flexibility of WooCommerce. Enjoy a seamless two-way sync of products, inventory, customers, and sales. WooCommerce offers unrestricted customization so you can build a store that completely fits with your brand’s look and feel. You’ll love the solution even more if you’re a WordPress user. Since WooCommerce is built on WordPress, the development principles for both platforms are essentially the same, so learning and using the system will be a cinch. Drowning in Post-Its or notepads? 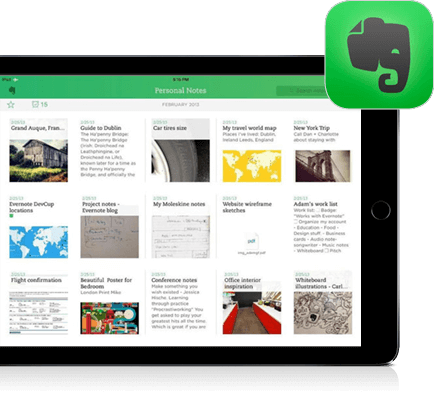 Switch to Evernote, and keep all your notes, links, lists, and miscellaneous content in the cloud. The app syncs across multiple devices and platforms, so you can access and edit your notes from anywhere. It has a search feature that lets you find the info you need with just a few taps and swipes, and it even allows you to capture images and sounds. 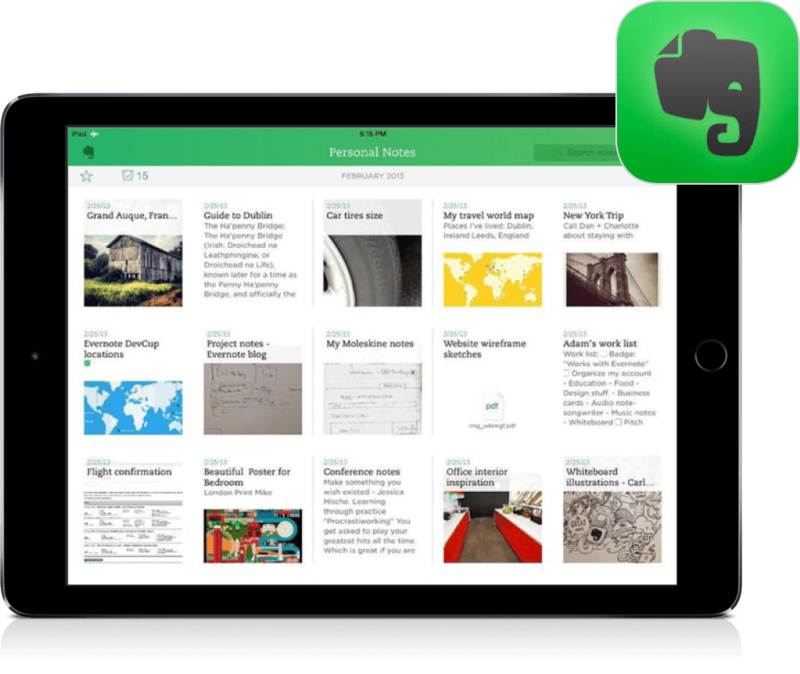 With its ease-of-use and flexibility, Evernote will save you a lot of time and effort. It also lets you send notes to other users, so sharing information with your staff, vendors, or customers is a breeze. 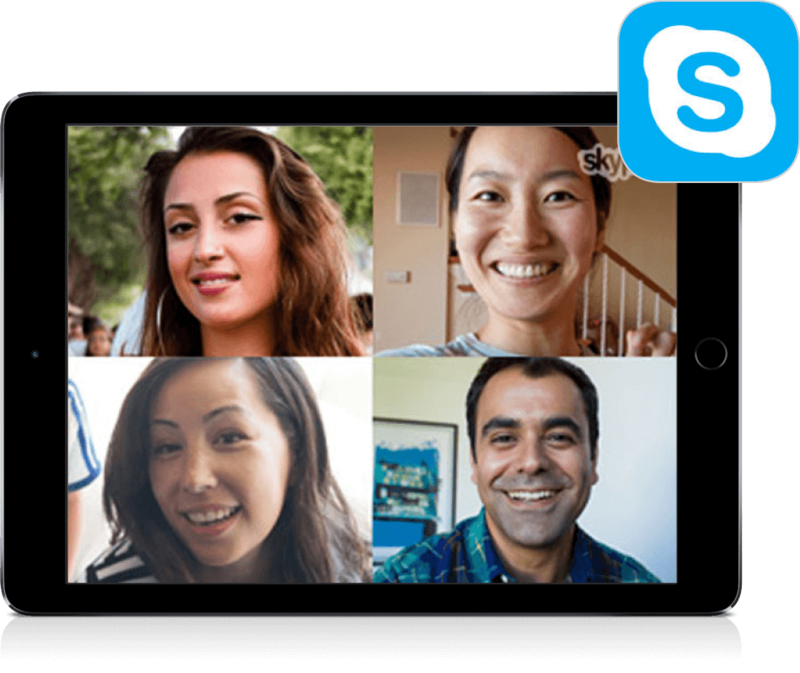 Skype can take care of all your online communication needs. Use this nifty app to touch base with people via instant message, voice, or video for free (or for very low rates). When it comes to communicating complex ideas or information, email can only take you so far. Sometimes, you need to be face-to-face with remote employees, vendors, or customers. 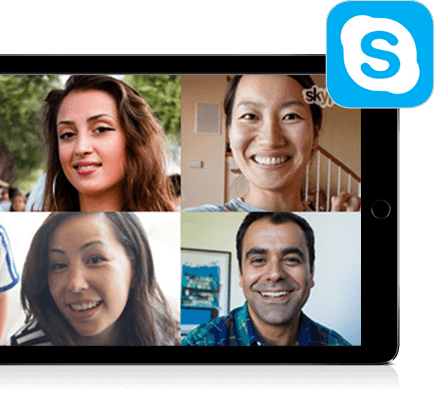 Skype offers an easy and inexpensive way to do just that, so you can get your messages across and get stuff done. This app puts multiple retail calculators in one program, so you can make common business computations right from your smartphone. Retail Calculators gives you seven free calculators including Contribution Margin, Loan Payment, Inventory Turnover (Stock Turn), Markup, Money Conversion, DCF Valuation, and Shift Hours. Other calculators are available via in-app purchases. 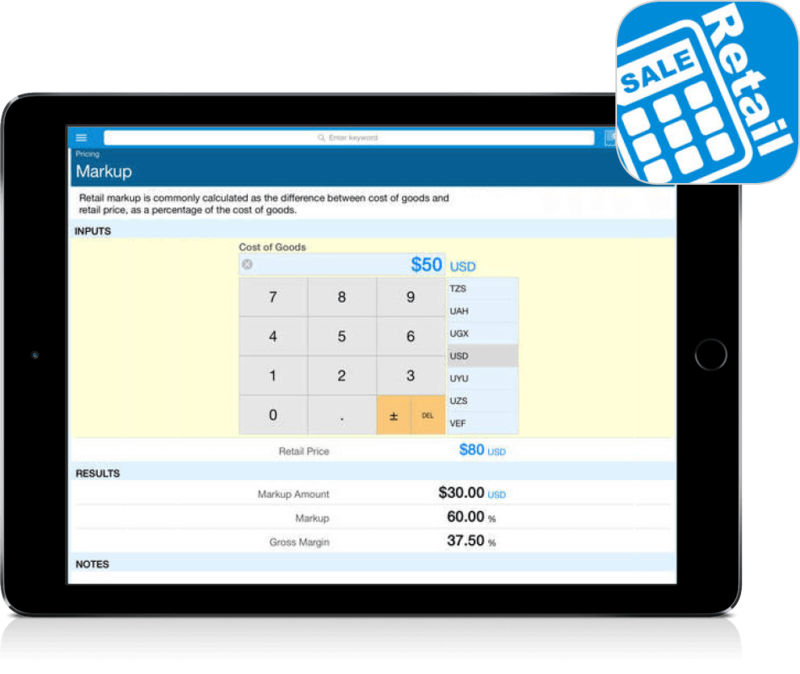 With this app, you won’t have to use complicated formulas to make business calculations. Simply input the numbers, and hit the enter button. A huge time-saver, Retail Calculators quickly gives you the values and numbers you need to make important business decisions. 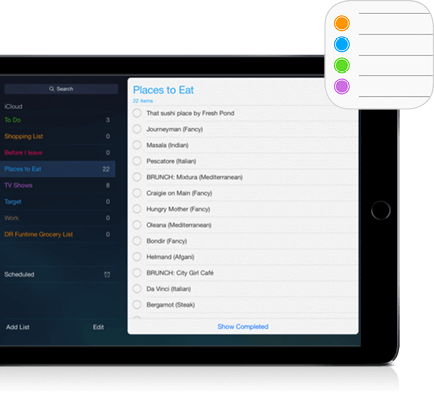 Bonus apps: 2 more apps to help you take advantage of your iPad. 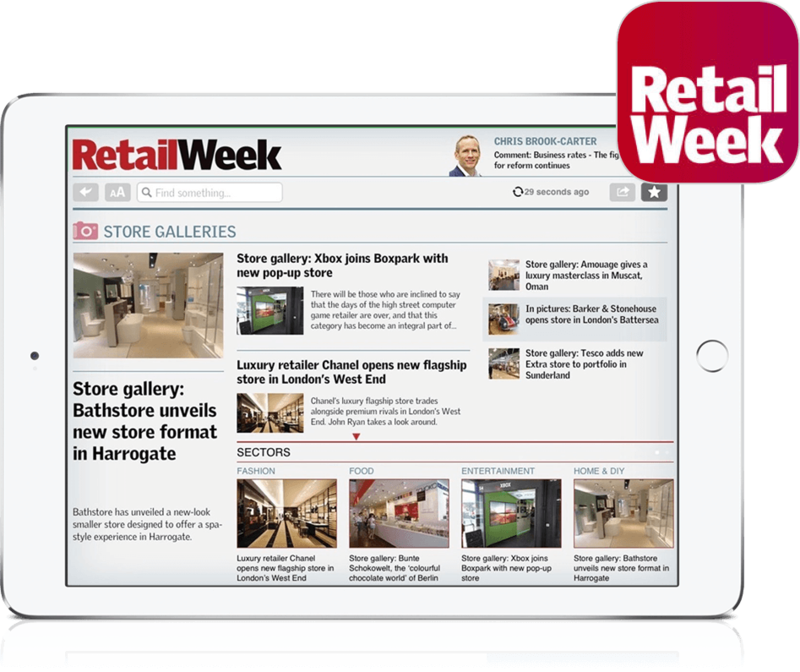 With the Retail Week app, the most trusted source of retail news is always just a tap away. The app lets you view the latest industry headlines and stories, and you can store up to 150 news items to read even when you’re offline. Need to find a specific article? 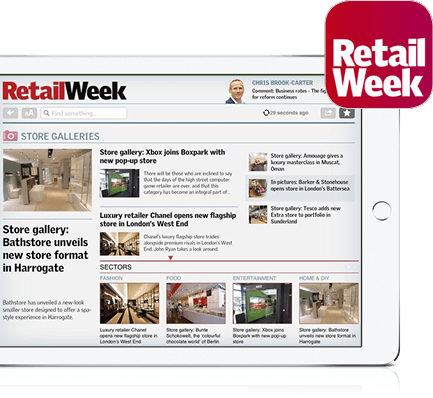 Search Retail Week’s archives using the app, and clip stories you want to read later. Retail Week can keep you informed of retail industry news and issues, no matter where you are. With this app, you’ll always have an eye and an ear on the most important headlines, and you’ll never walk into a business meeting without knowing what’s going on in retail. This app lets users browse numerous retail catalogs using their phones. It helps people discover products, find deals, and share items with their friends on social media. 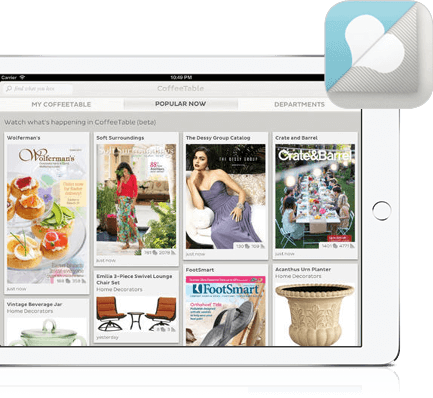 Publish your catalog on CoffeeTable, and get your business and products in front of a wider audience. The app also provides real-time data, so you can view the performance of your catalogs and make decisions on pricing, inventory, and design.